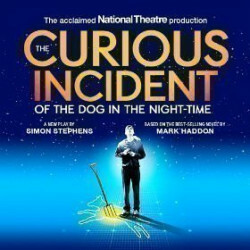 Based on the wonderful novel by Mark Haddon and adapted by Simon Stephens, this production is so good it has transferred to the West End, an accolade only achieved by the very best on-stage entertainment. And Adrian Sutton's soundtrack adds a very special extra dimension to this offbeat tale of a very unusual boy, a garden fork and a dead dog. 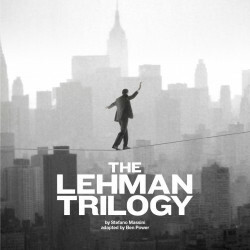 The Lehman Trilogy is transferring from the Lyttleton theatre at the National to the West End's Piccadilly theatre. It waves a tale that is all too familiar to anyone who has suffered since 2008, when the credit crunch totalled the economy and the global recession bit. This is the story of the Lehman Brothers, whose bank's failure ultimately set the recession in stone. A simple but impressive curved exterior in pale stone with arched doorways leads to a sumptuous Art Deco-style interior. Apparently if all the bricks used in the building’s construction were laid end to end, they’d reach from London to Paris! The Piccadilly Theatre was designed and built by Bertie Crewe and Edward A. Stone for Edward Laurillard, with clean, simple Art Deco lines and a magnificent Deco interior designed by Marc-Henri Levy and Gaston Laverdet in lush pink, green and gold. Today you can still see the original light fittings in the foyer, a spectacularly stylish sight for fans of the era. The theatre’s first production was Jerome Kern's famous musical Blue Eyes, starring one of the era’s most talented actresses, Evelyn Laye. In the beginning the Piccadilly was also used as a cinema, showing the British public the first ever talking film to appear in the UK, The Singing Fool starring the legendary Al Jolson. The theatre was converted into a cabaret restaurant in 1936, reopeneding as the London Casino, home to a series of incredibly lavish shows. During the Second World War it was seriously damaged, like many of the West End’s theatre venues, and wasn’t renovated until the 1950s. After re-opening again, rising from the ashes, it became a popular venue for plays and musicals as well as being re-named the Phoenix again. The ‘60s and ‘70s saw the venue’s reputation rise with a run of Broadway transfers including the still-popular Who's Afraid of Virginia Woolf? and A Streetcar Named Desire. In 1986 TV took over with Live from the Piccadilly, hosted by household name comedian Jimmy Tarbuck. And in 1990 ballet and dance came to the fore at the Piccadilly Theatre, with Matthew Bourne's famous production of Swan Lake creating an enormous stir and breaking ballet box office records. Over the decades the theatre has seen some amazing performances by some of our most popular actors including Henry Fonda, Judi Dench, Lynn Redgrave, comedian Eric Sykes and even Australia’s superstar Dame Edna. These days the Piccadilly is one of over 20 venues owned by the Ambassador Theatre Group. 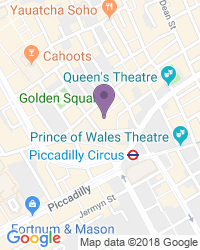 Wish You Were Here, Edward 2nd, Spend Spend Spend (about the pools-winning woman who spent her million pound fortune in a remarkably short space of time) Blues in the Night and a smash hit season of plays directed by Sir Peter Hall have graced the stage at the Piccadilly. The Donmar Warehouse production of Guys and Dolls ran for two years in 2005 -’07 and the musical Grease was staged there from 2007. There is a space for one wheelchair user for each show, with access via Sherwood Street, in the front of the Royal Circle. Plus there’s an infra-red sound amplification system. We’re a popular destination for a wide variety of seat types and prices, with excellent availability on the full range of Piccadilly Theatre tickets.